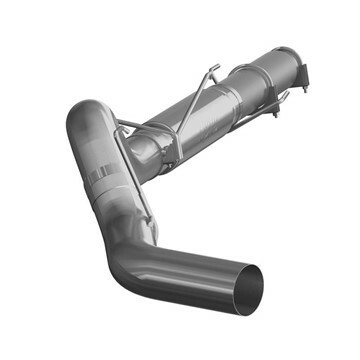 MBRP's Performance Series aluminized 4" cat back exhaust system, with muffler and without tip for your 2004.5-2007 Dodge Cummins 5.9L diesel truck. 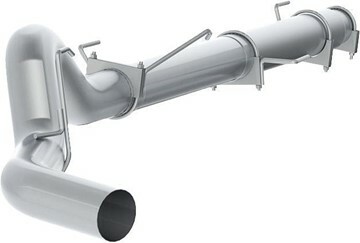 MBRP's 5" Cat Back PLM Series Exhaust System for your 2004.5-2007 Dodge 5.9L Cummins diesel pickup. 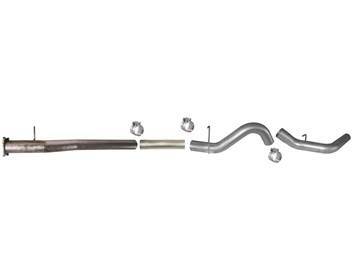 Made from heavy gauge aluminized steel, this free-flow kit does not come with a muffler or exhaust tip. 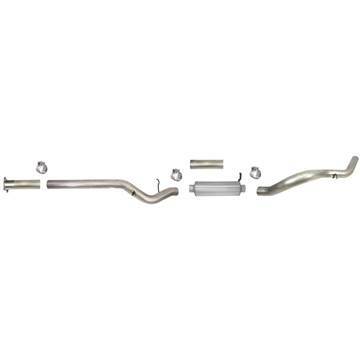 MBRP's Performance Series aluminized 5" cat back exhaust system, with muffler and without tip for your 2004.5-2007 Dodge Ram Cummins 5.9L diesel truck. 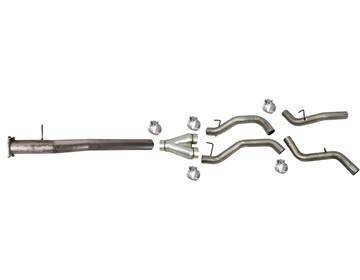 MBRP's Performance Series aluminized 5" cat-back exhaust system for your 2003-2007 Ford Powerstroke 6.0L F250/F350 diesel truck. Comes with a polished 304 stainless muffler. No tip included. 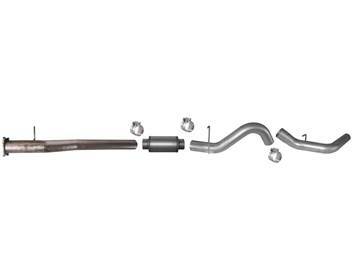 MBRP's 4" Cat Back XP Series DUAL Exhaust System for your 2004.5-2007 Dodge Ram Cummins 5.9L diesel pickup. 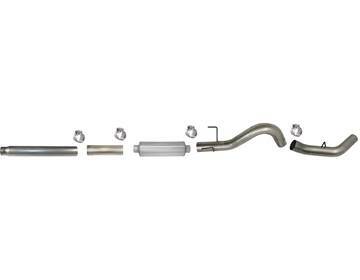 Made from 16 gauge T409 stainless steel (which lasts longer than aluminized exhaust), this kit comes with a T304 polished stainless muffler and exhaust tips.